The Landmarks Preservation Resource Center is a meeting space and educational facility of the Pittsburgh History & Landmarks Foundation, which was started as a program of PHLF in 2010. The LPRC, which was formerly an auto-repair shop, was essentially a rundown junkyard when PHLF acquired the building in 2008 as part of our comprehensive historic restoration and preservation initiative in the Hamnett Place neighborhood, a National Register-listed district, in Wilkinsburg, Pennsylvania. 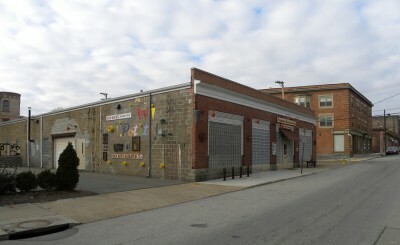 Located at 744 Rebecca Avenue—Wilkinsburg, Pa, 15221—the LPRC is an example of an adaptive reuse that saw the conversion of an auto-repair junkyard into a state-of-the-art building, which includes a lecture theater, conference room, workshop break-out room and a studio and gallery for a sculptural artist. The objective of our programming at the LPRC is to highlight the principles of our work through educational workshops and seminars, lectures and film screenings, on all aspects of historic preservation to include: do-it-yourself instruction on house restoration; lectures on architectural history; energy efficiency and green building techniques; house financing for first time house buyers and other public policy and community development topics. Visit our Tours & Events for a list of all our upcoming events at the LPRC or call 412-471-5808 for more information.